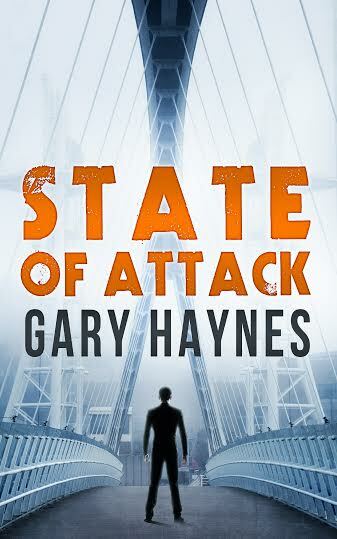 State of Attack sees the return of Special Agent Tom Dupree in another turbocharged political thriller from Gary Haynes. Tom Dupree must embark on his most dangerous mission yet: a desperate search to track down the Sword of Allah, a jihadist otherwise known simply as Ibrahim. But the closer Dupree delves into the knot of terror, betrayal and conspiracy surrounding the Sword of Allah, the fewer people he can trust — and the more deadly the race becomes. Special Agent Tom Dupree is back! Initially, thinking about which scene from my new counterterrorism thriller, State of Attack, was the scariest part proved difficult. Darker than the first novel in the series, State of Honour, the second book revolves around a planned attack by Islamic terrorists, but this is no ordinary attack. Added to which it is based in war-torn Syria, Lebanon and the Gaza Strip, as well as the West. Should I describe writing about the drowning of an innocent couple? Should it be the violent interrogation of a Mossad operative? Should I describe the invisible and devastating threat to US military bases in the homeland? No, after just a few minutes, I knew exactly which scene was the scariest part. Without the necessity for a spoiler alert I can say that the main character, Tom Dupree, a special agent in the US Bureau of Diplomatic Security, finds himself in Ankara, Turkey, tracking down a jihadist only known as Ibrahim. He is being protected by the Turkish mafia. Major players in the global smack trade and people trafficking, as well as prostitution and extortion, they maintain order and silence by fostering a reputation for prolonged torture. Now I don’t care how brave someone professes to be, the thought of days, weeks even, of extreme physical abuse at the hands of sadistic experts is chilling. The baba, or local godfather, is a psychopath. I know a lot has been written about psychopaths so I wanted mine to be a different. He loves his little granddaughter and tends his beehives with her nearby. Nice. But when he describes what will be meted out to Tom in order to extract the information he desires he’s, well, not nice. It is the juxtaposition of the everyday and the horrific that I find genuinely scary. One minute the baba is dripping honey onto his granddaughter’s tongue, and the next he is describing to Tom how he will look and feel when the screaming starts, the burning of flesh. Yuck! The sheer inevitability of it, the fact that seemingly nothing can be done about it, adds to the sense of complete hopelessness. A writer has to put themselves into that position, to get inside the mind of both the perpetrator and the potential victim, and that’s a difficult and scary thing to do. To ratchet up the tension, the baba says that he uses an old Gestapo technique, too. Tom won’t give up his buddy, Lester Wilson, but the baba says his men will find him, and then the real fun will start. Strip two men naked and play a brutal game. Use one to get information from the other. Torture one to get the other to talk. Torture one and say it’s the other’s fault. Metaphorically bang their heads together and see which one cracks first. And these are heads full of psychoactive drugs, bodies kept alive by drip feeds. Nice. Except, of course, I know there isn’t anything nice about this at all. It played on my mind. It still does. In a deep recess of my mind I have become a potential victim, and that my friends, is the scariest part. Gary Haynes studied law at Warwick University and completed his postgraduate legal studies at the College of Law. As a lawyer he specializes in commercial dispute resolution. He is very active on social media, especially Twitter, and blogs and comments upon writing, motivation, Middle East politics and counterterrorism. He keeps fit at his local boxing gym and by going for long walks by the coast and hiking on Dartmoor. He loves films, the music of Richard Wagner, Thai food and Portugal. Gary writes cinematic-style, intelligent, fast-paced, and action-packed counterterrorism/political/spy thrillers. He is writing a series of novels based on his main character, Tom Dupree, a special agent in the US Bureau of Diplomatic Security. His favourite quote is: You miss one hundred percent of the shots you don’t take.